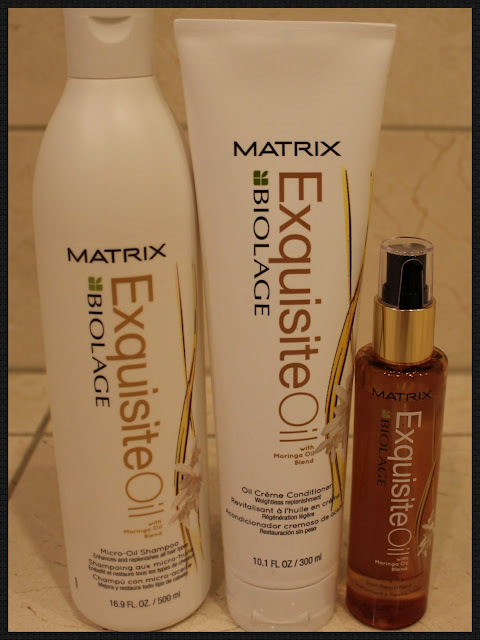 I wanted to try this New Shampoo, Conditioner and Serum from MATRIX BIOLAGE. I became a fan of Moringa Oil from trying it at The Body Shop. It's a exotic flower that is described as a white floral. Even though this Collection contains natural oils it is not actually a natural product. It does contain sulfates so if your on a natural kick this won't be for you.